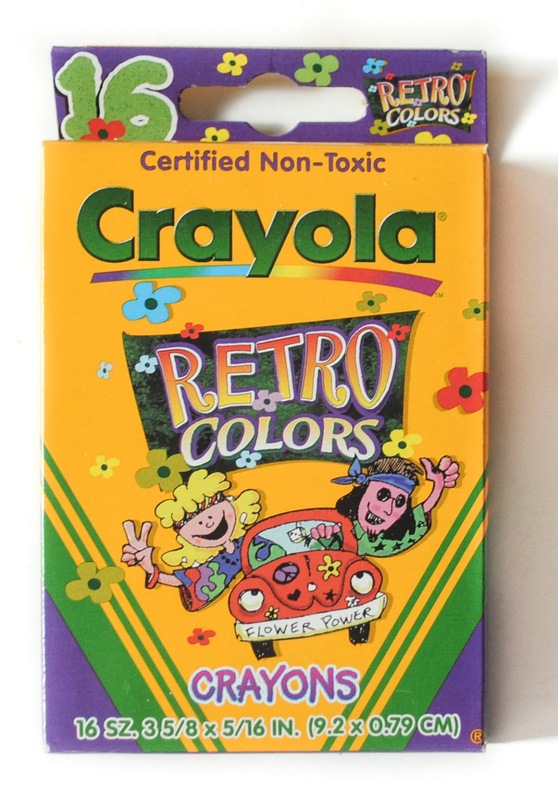 Crayola released the Retro Colors box in 1999. 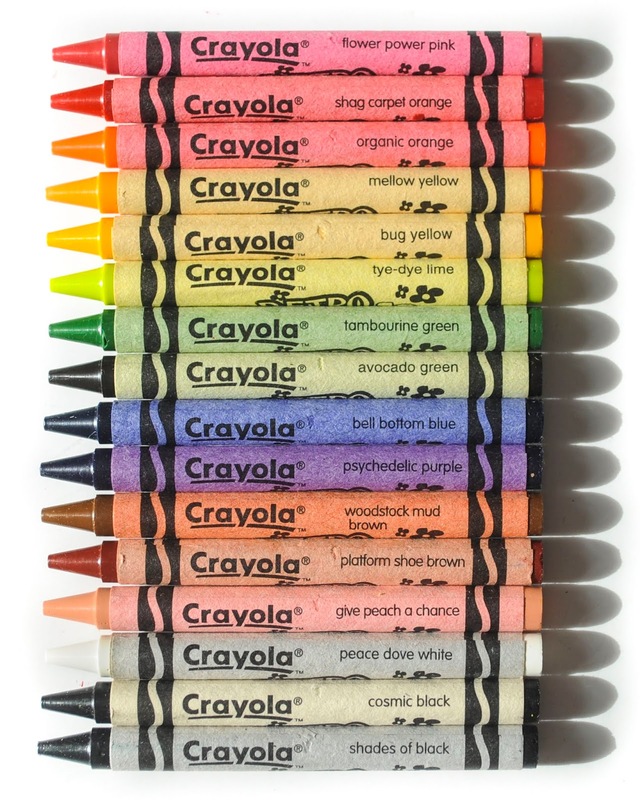 They renamed some classic colors and gave them hippy names such as flower power pink and woodstock mud brown. I love they embraced an era and named colors after the era. Click here to find the box on eBay. This box is highly collectible. It was not on the shelf long, contains unique color names and is hard to find. 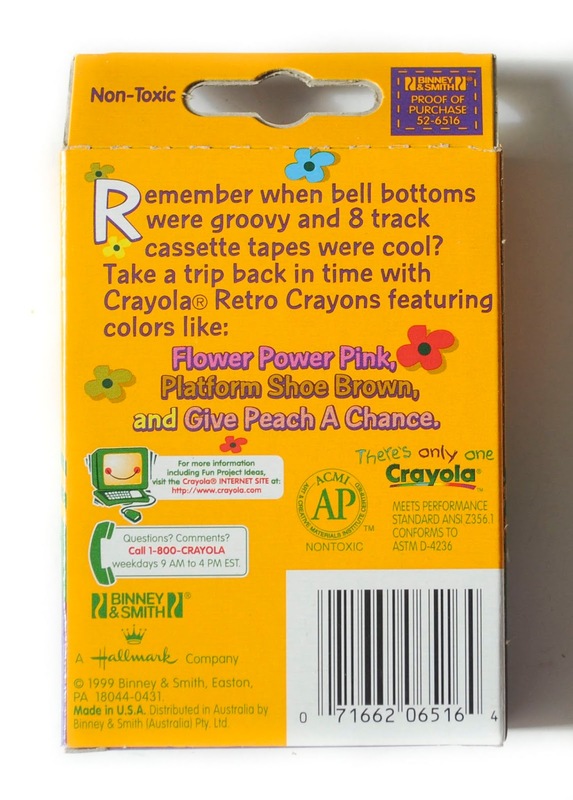 This is the wrapper for the retro colors. It features flowers, the color name and the name of the set.